You are currently browsing the tag archive for the ‘tragedy’ tag. Di at Doctor and Covenants pointed me to this story, where a brain surgeon was operating to remove a mass from a patient and and ended up finding a foot. The story states that this is either a rare type of tumor called a teratoma or is it a rare case of a twin that remained attached to the patients and was totally enveloped into the skull, a condition called fetus in fetu. His room was a shrine to his own memory, a eulogy for a still living, and breathing child. Pictures adorned the the door and the wall, smiling, vibrant, full of life. This boy last week was a healthy, happy, growing, developing two year old child. Colorful children’s crayon scribblings were placed at strategic intervals to liven up the cold, stark hospital room. Get well cards from extended family are also peppered around the walls. Over his crib, lies a recent portrait, the big smile and engaging eyes standing in stark contrast to the current blank stare. His limbs lay motionless, stiff, rigid, spastic, with toes pointed, betraying signs of a brain ravaged by lack of oxygen. He has been having seizures, with eye fluttering, and facial twitching about multiple times per day despite two anticonvulsant medications. This and breathing are the only spontaneous movements he makes. 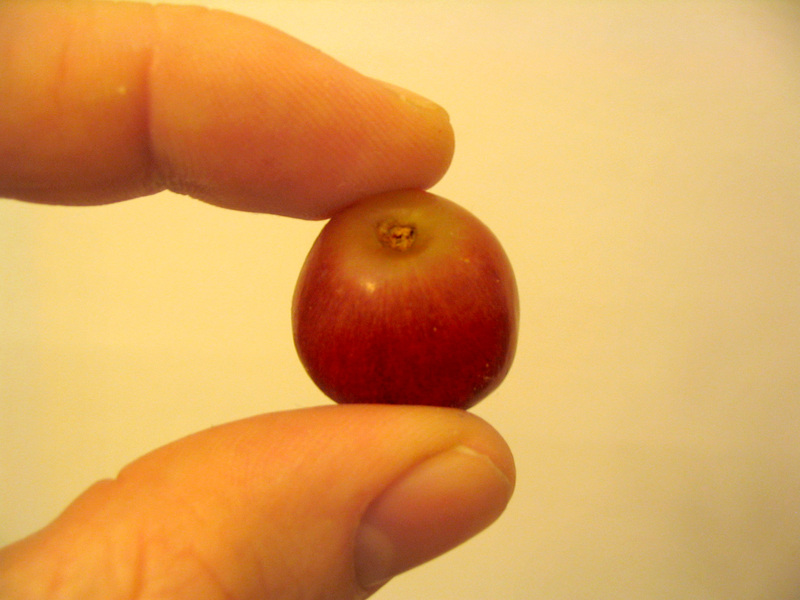 All this, the result of a single grape.